Your ultimate foodie adventure travel guide to the Oregon Coast featuring where to stay, what to eat and what to do! 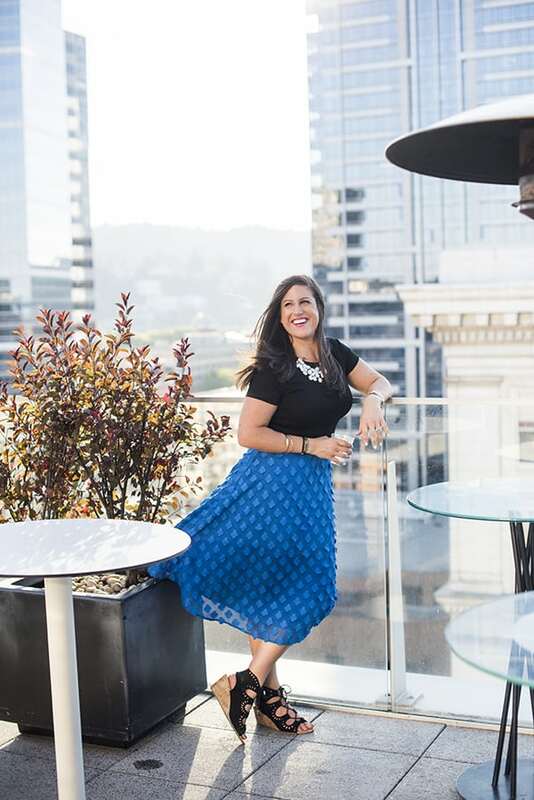 This past August I traveled back to one of my favorite US destinations: Portland, Oregon. 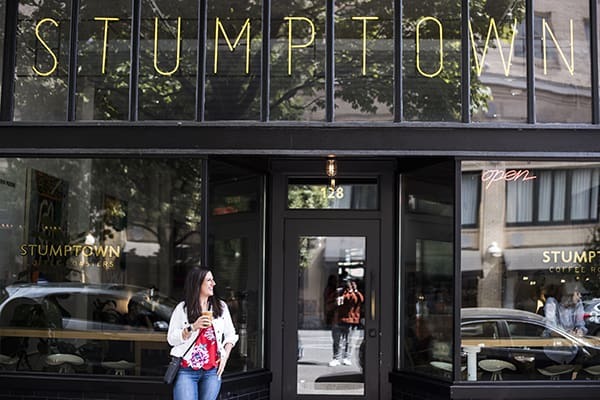 In addition to having one of the hottest food scenes in the country, it also happens to be a great starting point for various adventures throughout the Pacific Northwest. Last time I was in Oregon I headed east to Hood River. I had such a blast hiking Oneonta Gorge & Waterfall and exploring the Hood River area. 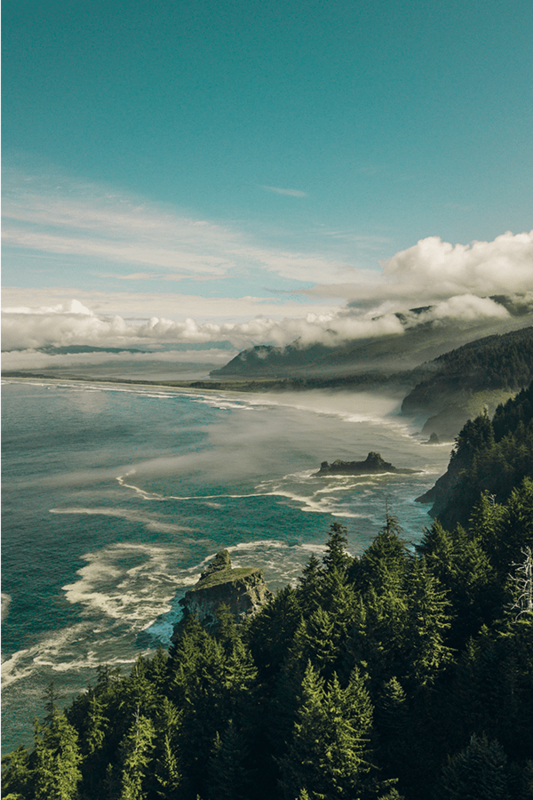 This time, I decided to head west and spend a couple days in Pacific City exploring the Oregon Coast. 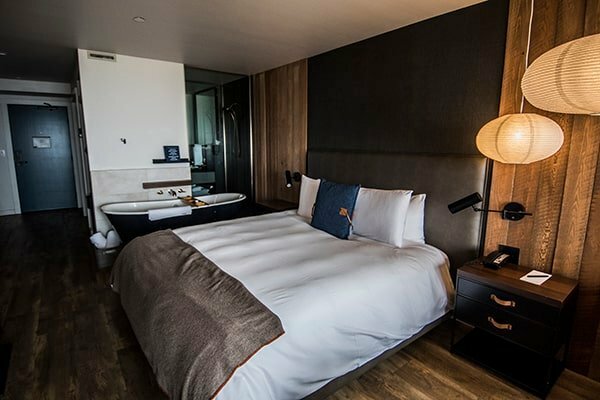 Home base for the quick visit was the brand new Headlands Coastal Lodge & Spa. 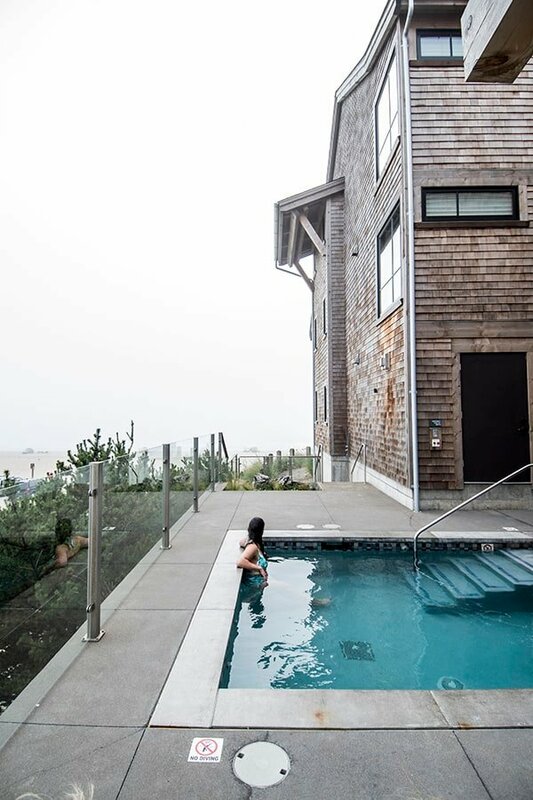 Designed to make the most of their special spot on the Oregon Coast, each of their 33 Oceanfront Lodge guest rooms and 18 spacious Oceanfront Cottages have a view of the ocean and Pacific City’s dramatic Haystack Rock—with a private balcony or patio from which to enjoy it. 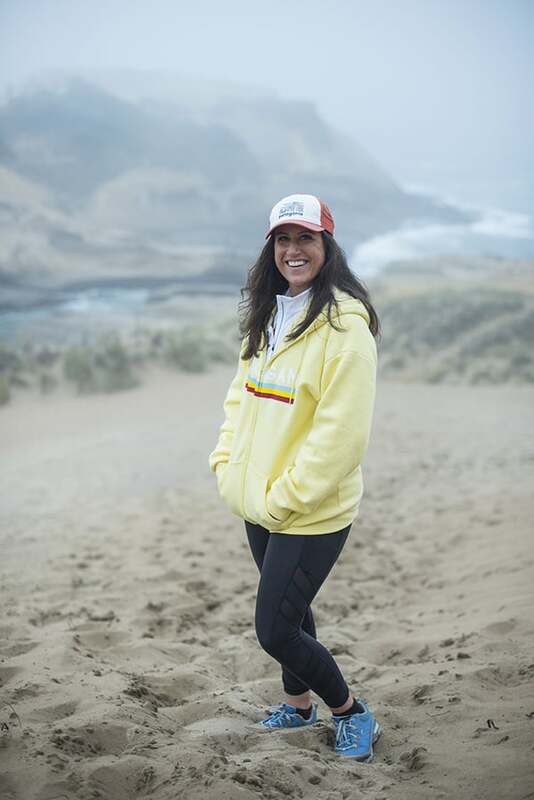 They even have on-site Adventure Coaches who share a common passion for their surroundings and thrive on connecting our guests with all Pacific City and Oregon’s North Coast have to offer. This leads me to our first adventure: dune hiking! 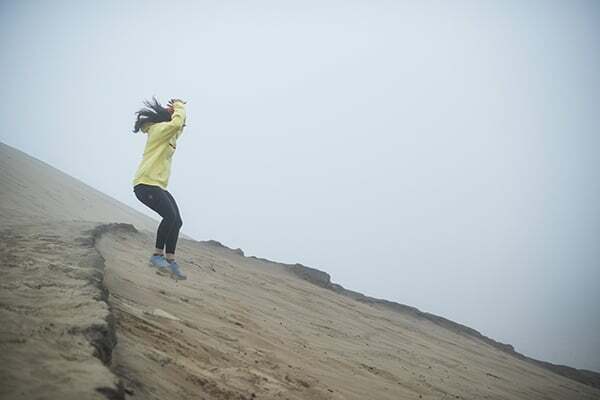 In fact, the hotel offers complimentary daily dune hikes suitable for adults, kids and even dogs! 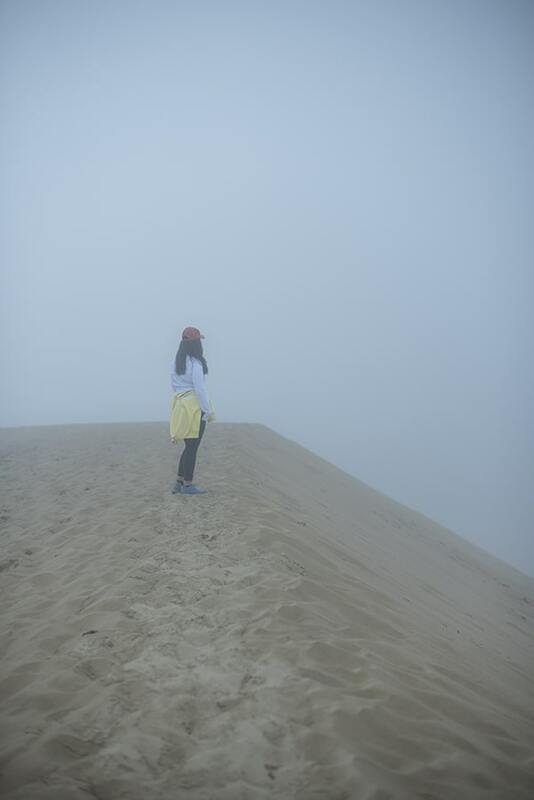 I highly recommend it – the dunes were absolutely breathtaking! Our second adventure during our visit was a dory boat ride which launched right outside the Headlands Lodge. 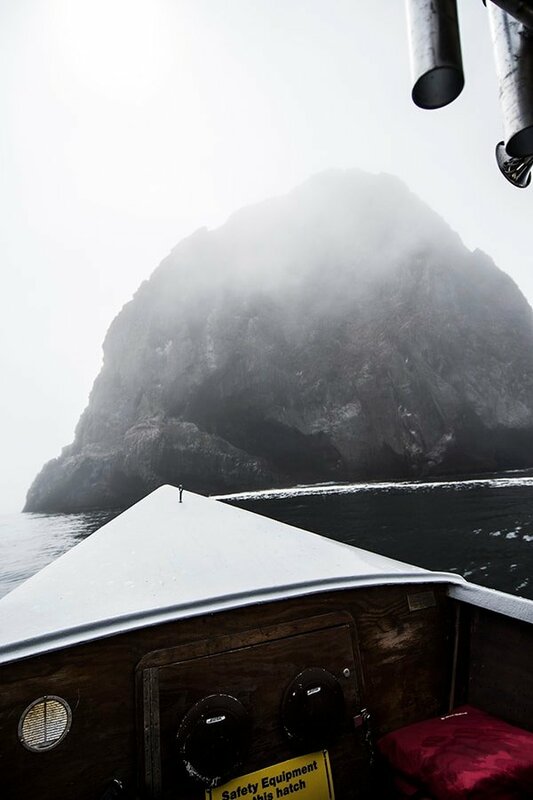 This unique fishing experience gave us the opportunity to get up close and personal with the magnificent Haystack Rock. 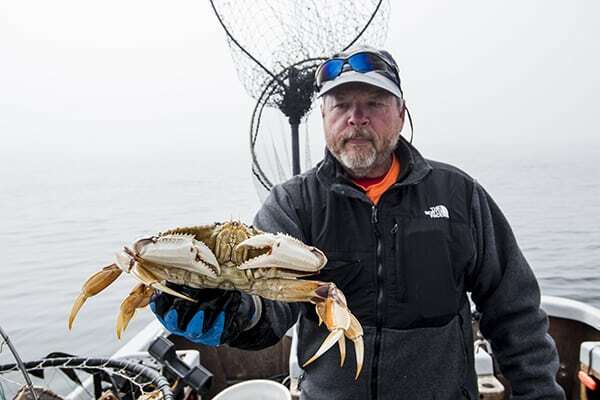 If you’ve never gone crabbing before, you are in for a treat. 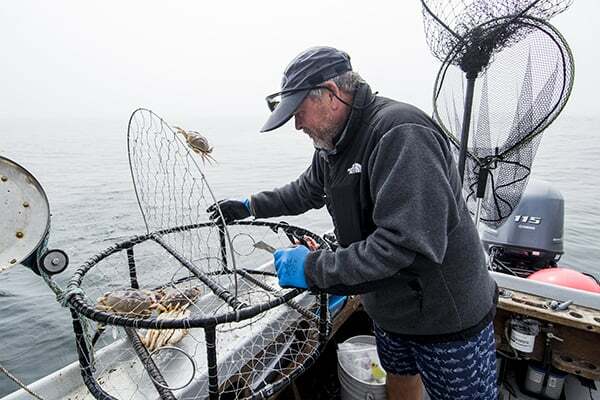 It was such an incredible experience watching our boat captain and experienced fisherman collect crabs from the bottom of the ocean. 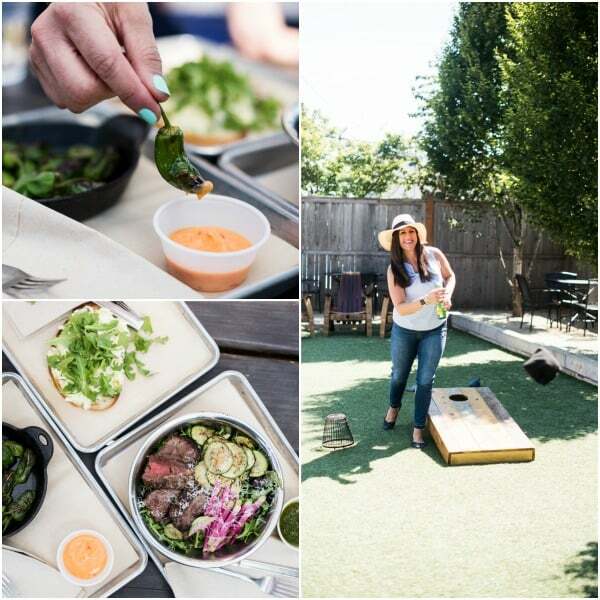 I’m a huge fan of taking advantage of any opportunity I can get to see where our food comes from and highly recommend this foodie adventure when you’re on the Oregon coast. Speaking of food, I’ve got some great restaurant recommendations in Pacific City or within driving distance. 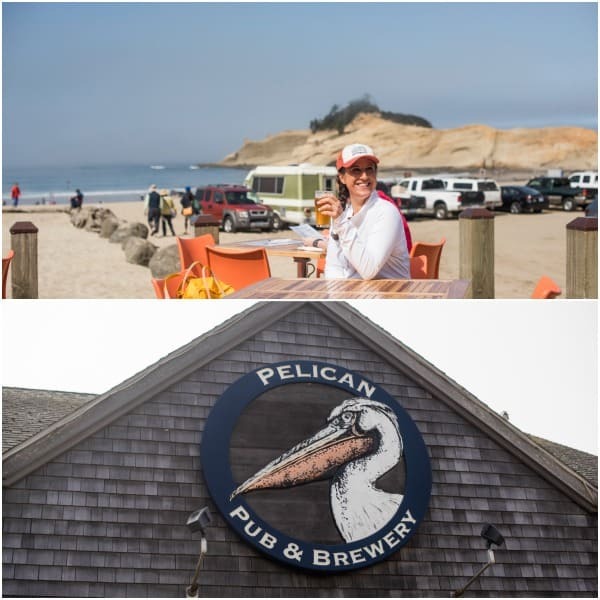 First up: Pelican Pub & Brewery located right next door to Headlands Lodge. Established in Pacific City in 1996, they now have several locations around the coast. 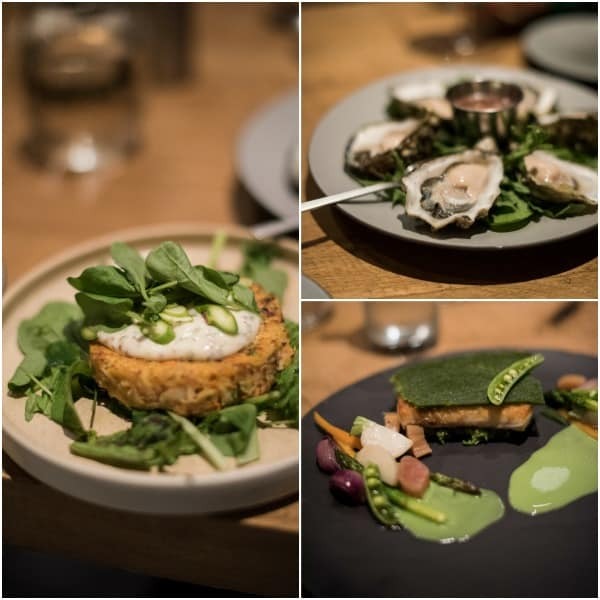 The seafood was to die for and overall the food was much more elevated than I would have expected at a brewery. 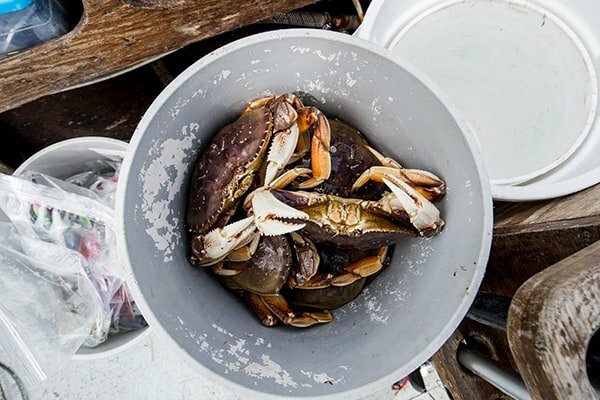 If you’re seafood lover (which I hope you are since the Oregon coast is full of incredible seafood! 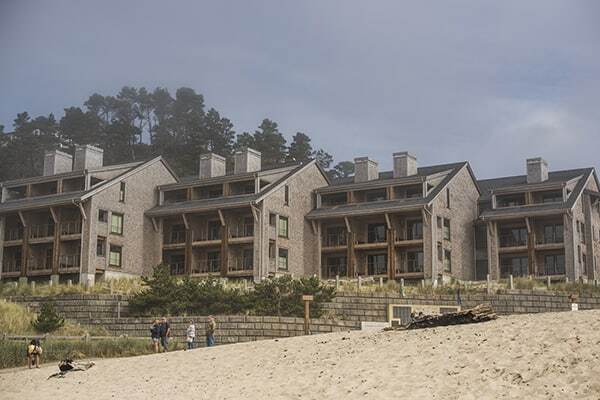 ), then you must have at least one meal at Meridian located at the Headlands Lodge. 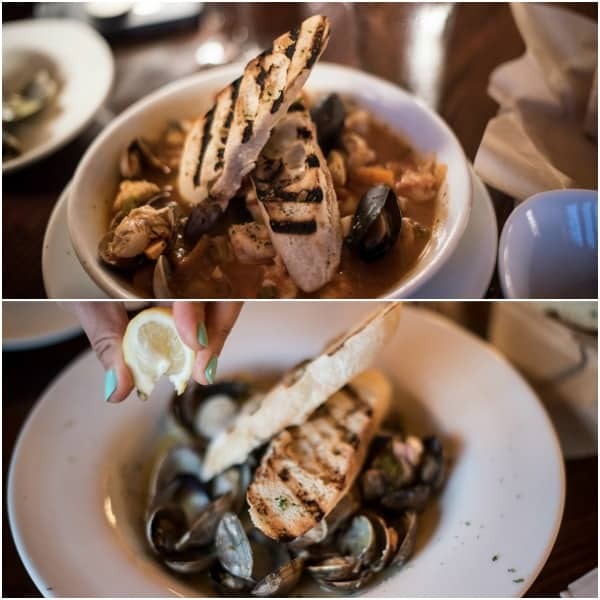 The menu emphasizes local seafood made with ingredients sourced from Northwest farms. 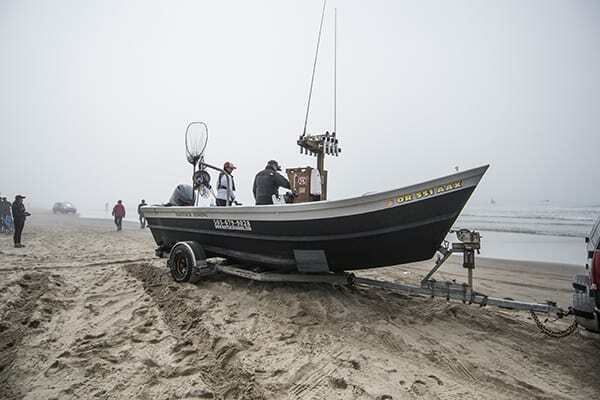 Another great seafood spot along the coast is located about 20 miles south in Lincoln City: Kyllo’s Seafood & Grill. 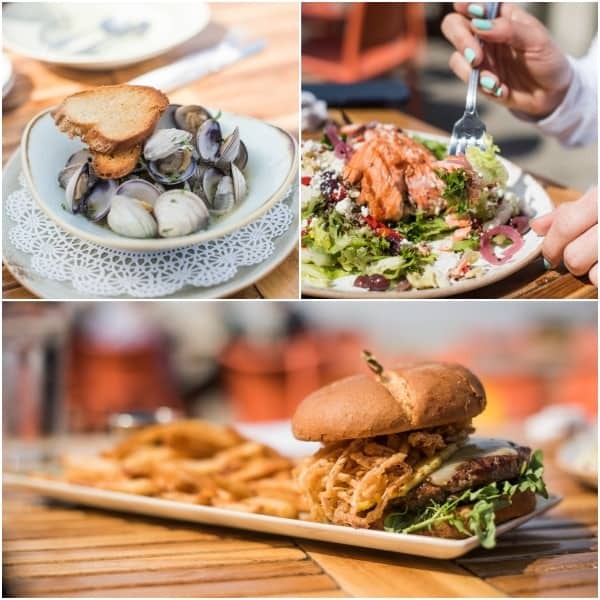 This oceanfront restaurant features oysters and clams from Willapa Bay, Oregon coast Dungeness crab, halibut, salmon, ling cod, sole and Oregon pink shrimp. YUM! 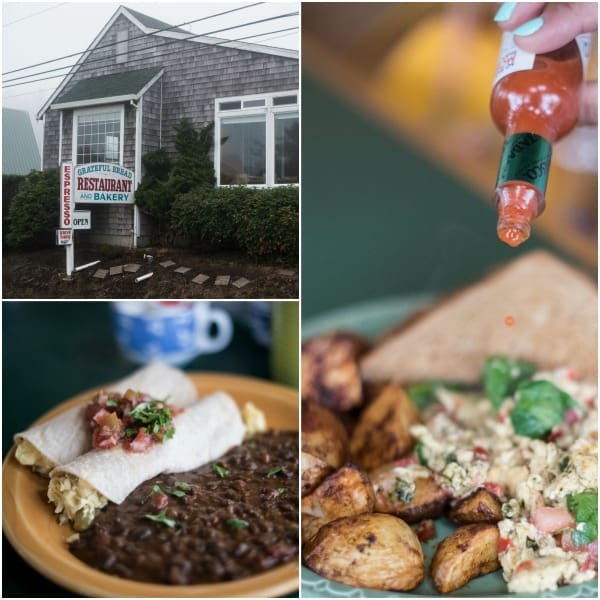 For breakfast, head to Grateful Bread Restaurant and Bakery just up the street in Pacific City. Offering fresh baked goods and made-to-order breakfast, it was cozy, casual and centrally located. The perfect spot for fueling up before your next day of adventures! 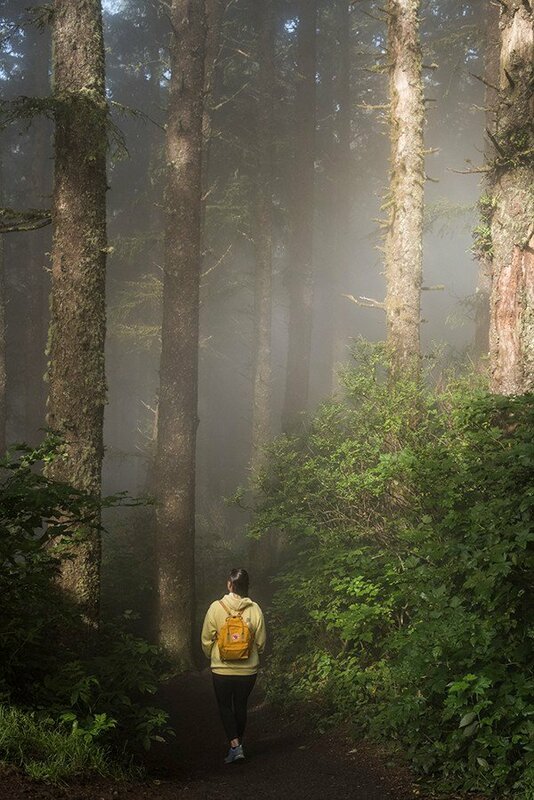 Speaking of adventures, during your visit to the Oregon Coast you will find limitless hiking possibilities. 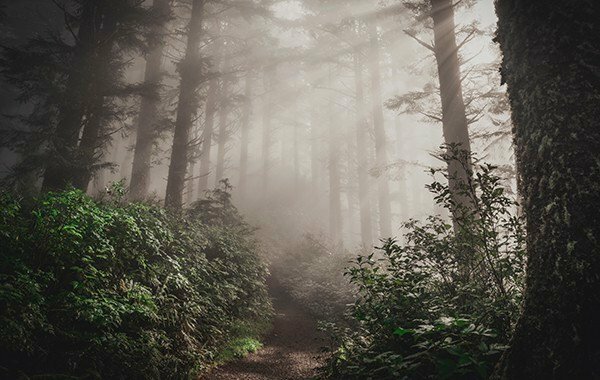 Be sure to take time to hike Cascade Head located 19 miles north of Pacific City. 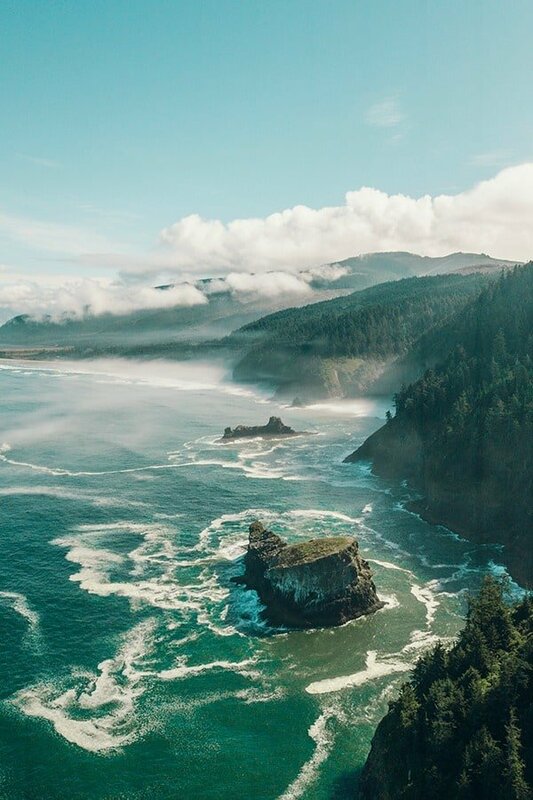 Not only does this hike afford incredible forest views like this one, it leads to one of the most breathtaking views of the Oregon Coast. There truly are no words to do justice to the beauty of the Oregon coast. It is the most breathtaking site I’ve seen since our visit to Alaska and one everyone should experience first hand at least once. 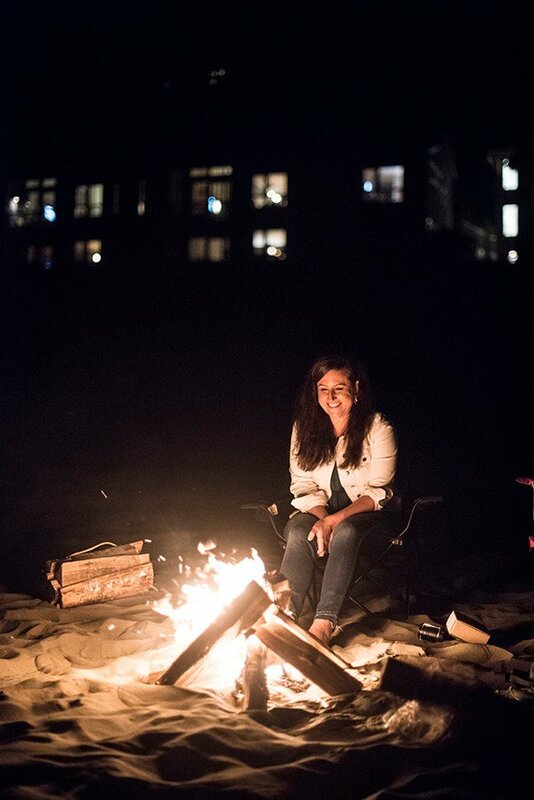 After a long day of adventuring, I recommend asking one of the Headland Lodge Adventure Coaches to set up a beachside fireboat and s’mores experience. You really can’t go wrong with their old fashioned homemade marshmallows and graham crackers. 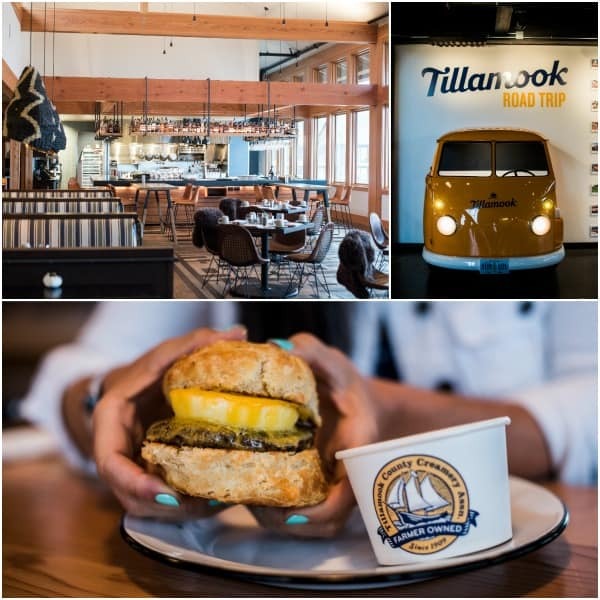 For breakfast, drive 23 miles north up the coast and check out Tillamook’s brand new visitor center. The Tillamook experience is free and self-guided, ideal if you’re traveling with little ones as well! 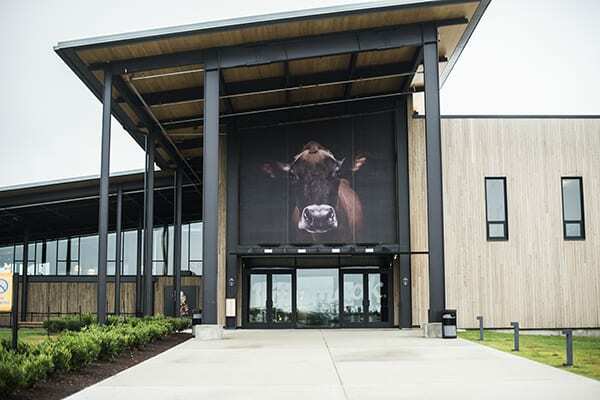 Not only do they have several interactive exhibits but they also have an expansive food hall on site – perfect for grabbing a quick bite before you hit the road. 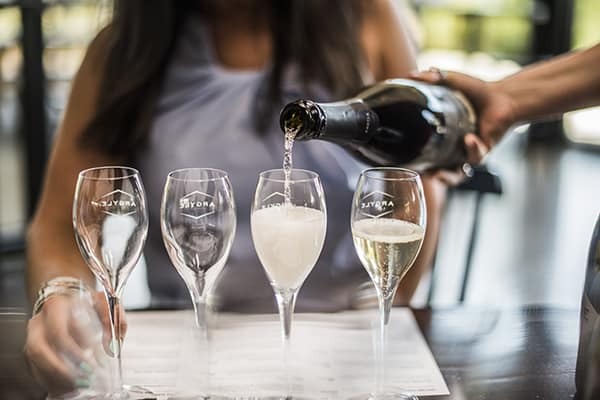 Whether you’re heading back to the Portland airport or just arriving, I highly recommend making a pit stop in wine country. Red Hill Market is the perfect lunch spot offering salads, sandwiches, soups and more. Of course, I couldn’t drive through Willamette Valley without a quick pitstop at my favorite domestic sparkling wine makers: Argyle. I’ve been drinking their sparkling rose for years so it was such a treat to do a wine tasting at their tasting house. 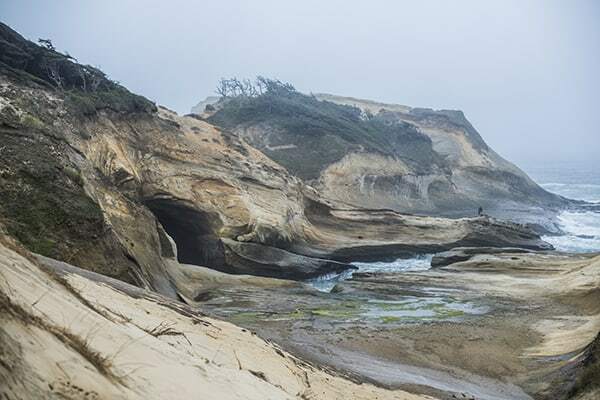 What are your favorite spots on the Oregon coast? I’d love to hear from you. 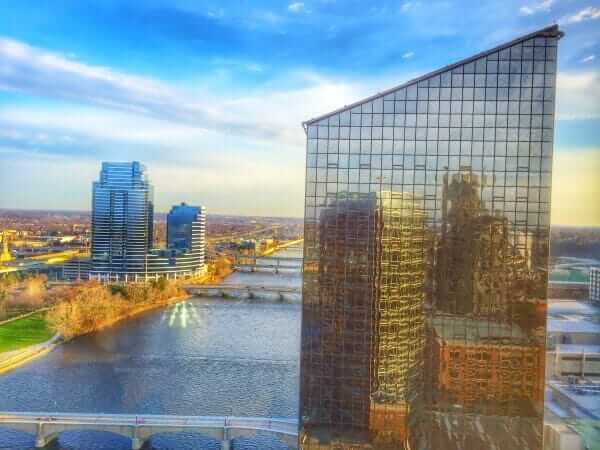 Disclosure: Travel Oregon coordinated my hotel, activities and meals during my stay. Photography by Alejandro Photography. I was not compensated to write this post. All thoughts are my own. 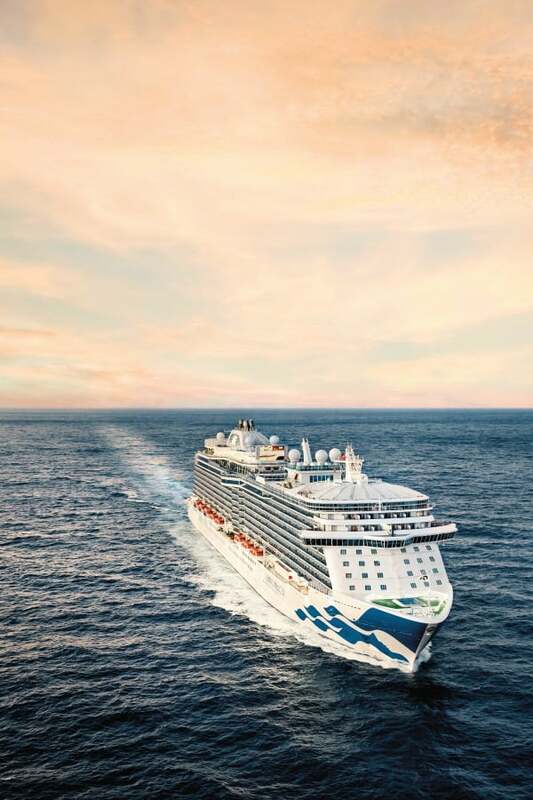 Planning your next getaway? 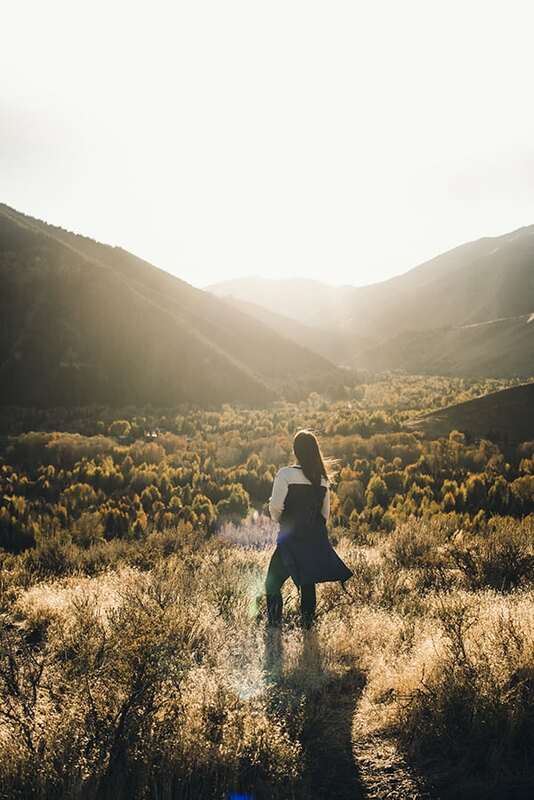 Head over to my Pinterest Board for more adventurous travel guides!